Oddball Films and guest curator Christina Yglesias present Yesterday's Tomorrow: A Night of Past Futures. The program features an eclectic mix of future prediction films brought to you from the 20th century. There will be humans living on other planets, environmental destruction, the predecessor to OkCupid, personal computers that kill, automatic kitchens, cyborgs, time travel, and more! Whether laughable or eerily spot-on, these future visions will have you thinking about the past, the present, the future, and everything in between. 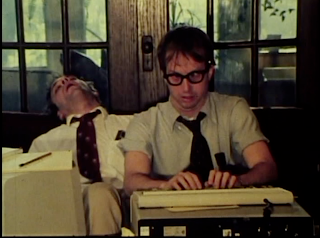 First up, IT beat cops investigate of string of personal computer related injuries and murders in Signal Syntax (1983). With quotes like, "Give me that floppy disk. You're too drunk to compute now!" and a distraught, "IF ONLY I HAD READ MY MANUAL!” this low-budget compu-horror will be sure to please. Ugly Little Boy (1977), an Isaac Asimov adaptation, brings us a surprisingly heart-wrenching story of the connection formed between a neanderthal baby brought from the past through time travel and the nurse tasked with caring for him. 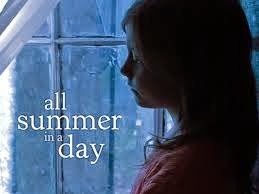 Keeping with the heart-breaking sci-fi theme, All Summer in a Day (1982) is a Bradbury adaptation that takes place on a planet that only sees the sun every 9 years. In an excerpt from Eager Minds (1955), we get a glimpse into the fifties kitchen of the future and predictions of "video phones.” Catalog (1961) is a mesmerizing example of early analog computer animation from cinematic innovator John Whitney; created with his analog computer/film/camera machine he built from a WWII anti-aircraft gun sight. Tying it all up is Stranger than Science Fiction (1968). 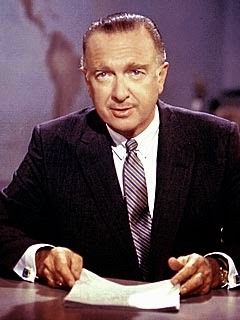 CBS News and Walter Cronkite made time in a pivotal year of American history to finish this report on the technologies of the world and how closely they resemble visions of the future that had been previously erected. 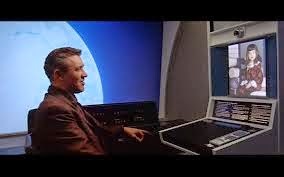 For early arrivals, there is The Future (1980), which offers up three (equally dystopian) visions of the future world. IT beat cops, tasked with helping “the layperson use their personal computers” investigate a string of computer attacks- causing severe injury and even death! Logizomechanophobia is the fear of computers. It can be brought on when machines violently turn against humans and wreck havoc. Signal Syntax instills logizomechanophobia in its viewer in the worst possible way: it places the spectator into the point of view of machines who love to hate humans! Featuring vintage computer technology, this John Remington film poses is an omen to the grudge against humanity personal computers of the future will hold. Ugly Little Boy is an adaptation of the short story by sci-fi writer Isaac Asimov, about a Neanderthal boy whom scientists have transported through time for scientific testing. A conflict arises when a the nurse tasked to care for the little guy from the past grows attached and can’t bear to return him to the past. Isamov said this was his second or third favorite of his writings. The film adaptation gained acclaim for staying true to his story and the for Kate Reid’s powerful performance as nurse Fellowes. A classic science fiction tale set on Venus where the sun shines for just a few minutes once every nine years. Young Margot remembers her sunny past on earth but becomes a victim of teasing by her classmates. She is locked in a closet during the sun's rare appearance; when she is released it is too late: the rain has begun to fall again. Based on the story by Ray Bradbury and starring Keith Coogan from Adventures in Babysitting and Don't Tell Mom the Babysitter's Dead. Famed cinematic innovator John Whitney's demo reel of work created with his analog computer/film/camera machine he built from a WWII anti-aircraft gun sight. Whitney and the techniques he developed with this machine were what inspired special FX wizard Douglas Trumbull) to use the slit scan technique on 2001: A Space Odyssey. An eye-opening and inspiring work of early computer generated imagery. An engineer and professor gives an impassioned speech to his students, urging them to dream up and realize the technologies of the future, today. As he speaks, those technologies are shown dreamed up via film. 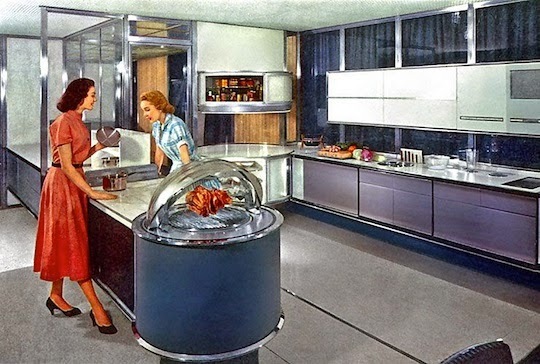 See a future kitchen where a beautiful housewife can conjure up everything she needs (to prepare her dish of glazed ham) at the wave of a hand. Then, see predictions for where television will take technology. To quote the narrator, "What can you do with television? There are some interesting possibilities. Video phone, maybe- and I venture to say it will present young people with some fascinating human problems. CBS News and Walter Cronkite made time in a pivotal year of American history to finish this report on the technologies of the world and how closely they resemble visions of the future that had been previously erected. It includes a comparison of the epic film, “2001: A Space Odyssey” by Stanley Kubrick to the real world of science and technology. Does fiction come from reality or the other way around?